Can Testosterone Booster Panax Ginseng Benefit the Entire Male Fertility System? “King of the herbs”, Panax ginseng has been known for its multiple benefits, especially for its effectiveness in men reproduction system. Ginseng keeps the arteries and vessels supple and wide, and supports nitric oxide levels to improve blood flow as well. In this article, we will discuss how ingesting ginseng will stimulate testosterone and nitric oxide, and its effects on overall male fertility system. How Does Ginseng Boost Testosterone? There are multiple ways in which red (Panax) ginseng boosts testosterone level in men. Ginseng stimulates male hormone by working on the brain and testicles. This natural remedy contains steroidal saponins that increase testosterone, dihydrotestosterone or DHT, luteinizing hormone along with other vital androgens. A study pointed out a remarkable improvement in sperm parameters for both healthy volunteers involved in this study and the participants having different issues with testosterone production. Red ginseng regulates blood glucose that controls insulin levels. Insulin levels may have a detrimental impact on testosterone production if they become too high. According to a study, people who took a standard dose of ginseng supplement showed 27% reduction in glucose level compared to a control group that did not take ginseng. A study, conducted by Yonsei University College of Medicine, found that participants having erectile dysfunction or ED, who took a therapeutic dose of ginseng extract felt remarkable enhancements of penile rigidity, girth, and libido due to the influence of testosterone. How Does Red Ginseng Influence Nitric Oxide Levels? Red ginseng root contains ginsenosides that stimulate synthesis of nitric oxide. This action improves blood circulation to help men get better erection. Panax ginseng eases the release of nitric oxide from endothelial cells and reduces blood pressure. A study has investigated the impacts of water extract of red ginseng on nitric oxide concentration level in the emanated breath, blood pressure, and heart rate of participant men. This study found that in taking 500mg Korean red ginseng enlarged nitric oxide levels in exhaled breath. The researchers found a reduction in blood pressure and heart rate simultaneously. 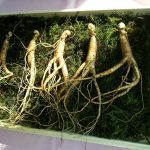 How Does Ginseng Improve Erectile Dysfunction? Use of red ginseng is nothing new in the treatment of impotence. In a study, 45 men having erectile dysfunction were divided into two groups. One group was given Korean red ginseng while another group was given a dose of placebo. People who took Panax ginseng showed a better result than those who took placebo. The study ultimately concluded that red ginseng is an effective treatment for erectile dysfunction. How Does Red Ginseng Support Male Fertility System? For erectile health, testosterone and nitric oxide level boosting, and libido enhancement, you should intake 3g of total Korean red ginseng extract per day in 3 doses of 1000 mg. To know more about the dosage and use of this herb, you can consult herbalists or the best ginseng brands. 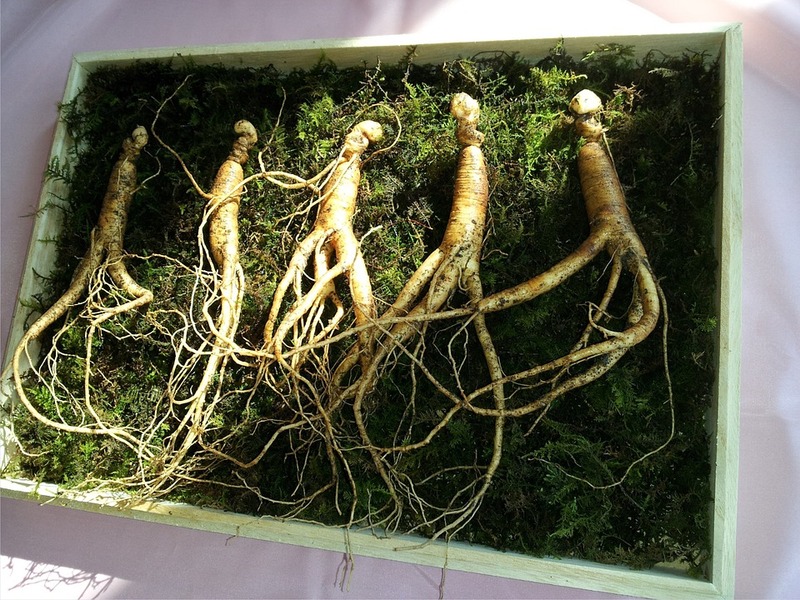 Panax ginseng has been considered the “True Ginseng”, the most effective ginseng due to the greatest number of ginsenosides compared to other types of ginseng. In these years, an enormous number of studies have established Korean red ginseng as a testosterone boosting supplement. Ginseng’s incredible impacts on a healthy erection suggest a positive impact on testosterone, because erection cannot happen without testosterone. Thus, when you are looking for a natural remedy to boost your testosterone, nitric oxide levels, fertility, and erection, you should consider the ginseng. To explore more benefits and usages of Panax ginseng, keep reading the upcoming articles! Till then, be healthy, stay positive!